Nous ne vendons pas ce produit pour l'instant mais vous pouvez le commander depuis la boutique en ligne de Skycat. This is a complete Skycat X68 parachute recovery system. Nous achetons directement aux fabricants afin de vous garantir les meilleurs prix. Votre colis peut être expédié partout dans le monde avec Fedex, UPS & DHL, La Poste et Mondial Relay. The unit comes with a user manual. 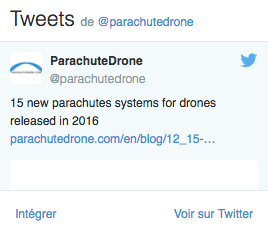 An instructional video about arming, disarming and parachute packing is sent upon order. 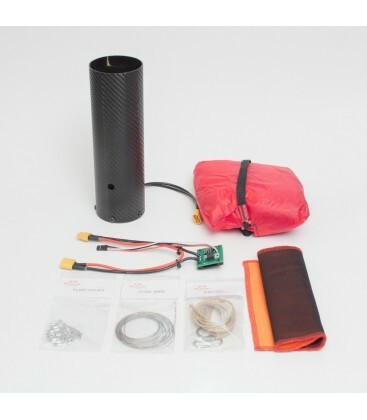 Opale parachute is rated up to 5 kilos, when opened from unlimited free fall with full G force. You can use it for larger UAVs, since full free fall with high load might not be your use case, but the manufacturer's limit is 5 kilos. Fruity Chutes IFC-60S is rated up to 11 kilos / 24 lbs from free fall, if you choose to buy a parachute separately. Standard configuration: Launcher connected to trigger. Trigger connected to battery and 1 receiver channel. No any settings needed for trigger! Only standard radio mixing is required. Diamètre lanceur (en mm) 68mm / 2.6"
Diamètre du lanceur (en pouces) 2.6"
Ce manuel explique comment configurer une radio-commande FrSky Taranis pour déclencher un parachute Skycat. 1. How many channels does the eject require from the receiver? 2. How quickly does the parachute eject from launch command? - The parachute ejects within 0.08 to 0.2 seconds. 3. 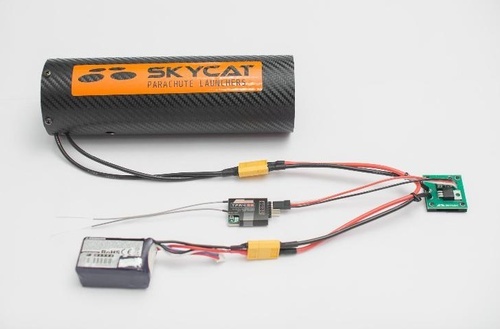 Does Skycat parachutes uses RC servos or CO2 pressure for launch? 3. If they don't use servos or pressure, what is it that makes the parachute eject? - The patent-pending method uses a strong spring, held in tension by a fuse. Once the fuse is blown by pilot's command, the parachute gets ejected. It's a multi-use system with high reliability and short reload time. 4. Does the launch harm the battery? - Not in any way, about 30 A is pulled from the battery for a very shot time. 5. How strongly does the launcher need to be installed on the UAV frame? - If it doesn’t fall by itself and can withstand eject recoil, it is enough. The parachute is attached to the UAV frame directly, which avoids strong forces to the launcher itself. 6. Does the launcher carry a parachute deploy impact forces and a copter weight? - No, it just kicks the parachute out. 7. Where is the parachute attached to the copter? - To the strongest points of your UAV frame, using the attachment set available in the store. 8. What is the correct size of the parachute? - It depends how big of an impact is acceptable for you. See the tables below. 9. Does the launcher ship with an automatic eject system? - No, the pilot is responsible for launching the parachute. 10. Does launcher support an automatic eject system? - Yes it does. Connect the trigger unit to your autopilot's PWM eject command channel and it will work. 11. Is it possible to use more than one trigger units for redundancy? - Yes, you can connect as many trigger units as you need. For Pilot, Autopilot, Camera operator and ground station for instance. 12. 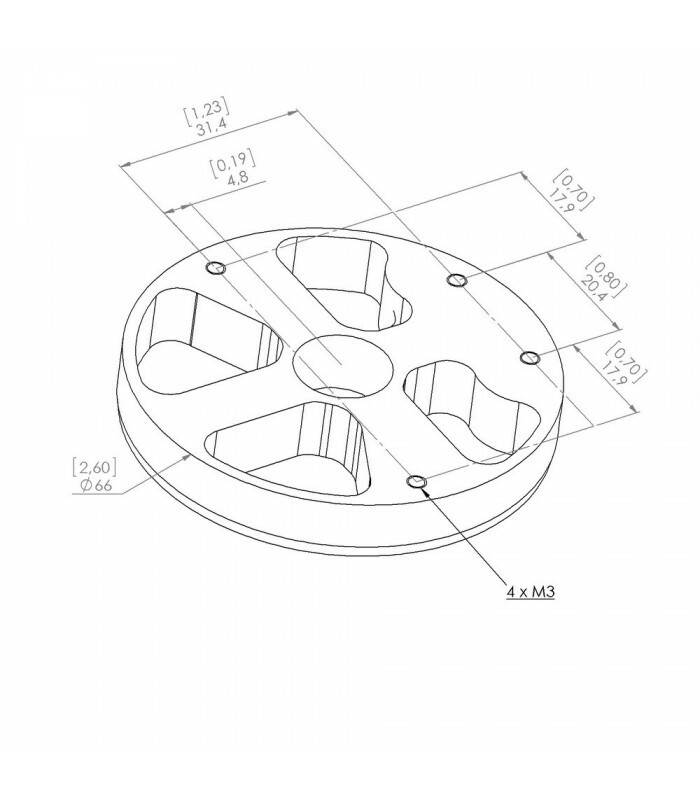 Is there a Skycat parachute for DJI Inspire 1? 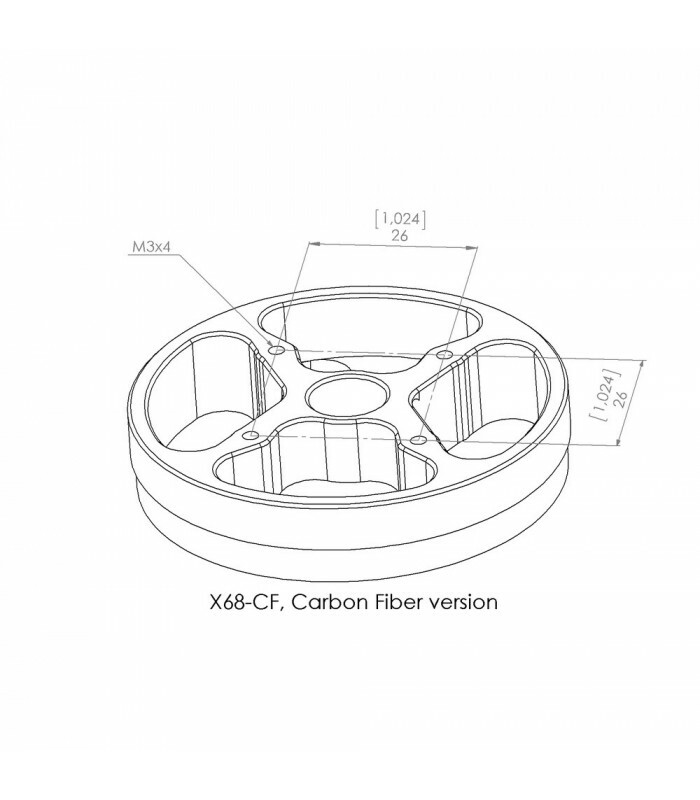 - Yes, the X55 all-in-one launcher is ideal for DJI Inspire 1 in size. 13. 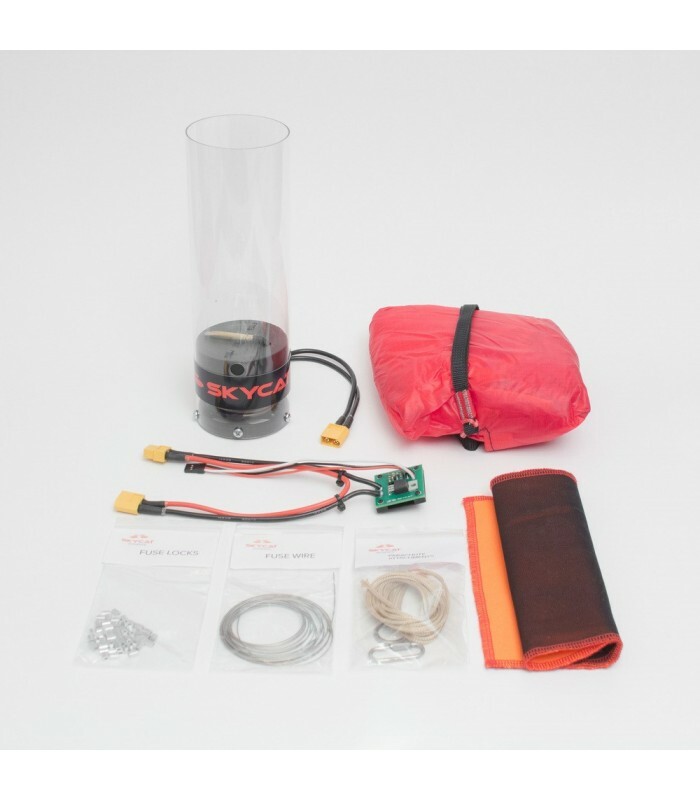 Is there a Skycat parachute for DJI S900? - Yes, the X68 all-in-one launcher with IFC-60-S parachute is ideal for DJI S900. 14. 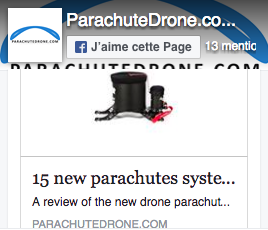 Is there a Skycat parachute for DJI Phantom? 15. 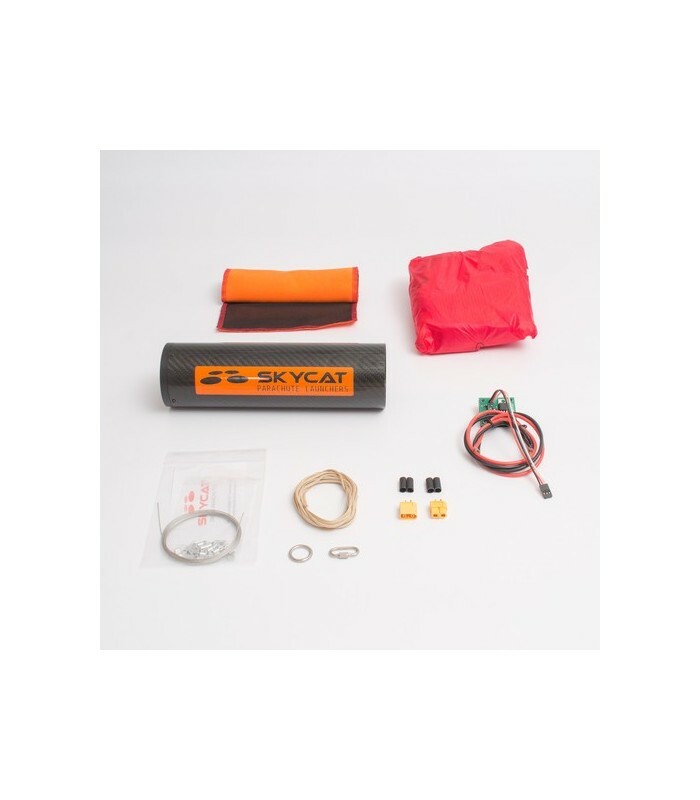 Does Skycat sell a flight terminator / kill switch? No, but their trigger unit helps if you want to make a simple one yourself. Use large enough NC relay(s) for motor power. The trigger unit can open the circuit upon an eject request. Use a Y-split from the trigger unit to control the motor relays, and to blow the launcher fuse, simultaneously. - Officially the answer is no. However, Skycat has run lab tests using a 6S/10Ah without problems. They don't officially support 6S yet, because they haven't had a chance to perform long-term evaluations with it.